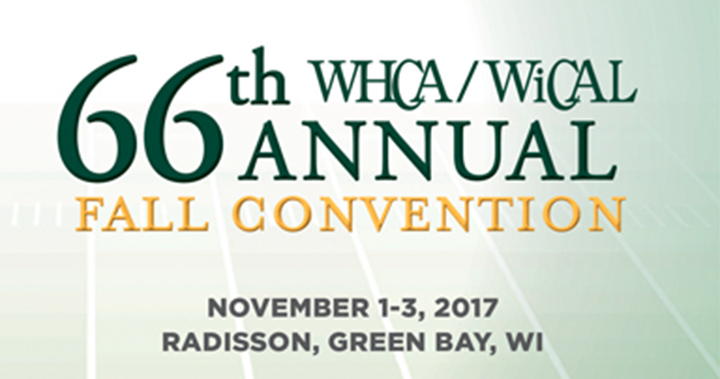 Today starts the WHCA/WiCAL 66th Annual Convention in Green Bay, Wisconsin! Following this year’s theme, “Leading the Pack,” this annual convention offers educational programs for all disciplines along the long-term care continuum. Director of Reimbursement and Clinical Consulting Karolee Alexander will be presenting, “Care Planning and Discharge Planning,” on November 2 from 8:00 a.m. – 9:15 a.m.
Director of QA & Government Services Leah Killian-Smith will be presenting, “Creative Staffing Models for Nursing LTC,” on November 2 from 9:30 a.m. – 10:45 a.m.
Stop by the Pathway Health booth #38 on November 2 from 4:00 p.m. – 6:30 p.m. to connect with both Karolee and Leah!